This section highlights in detail every running of the Longacres Mile and provides news about this year’s edition of the Grade III race. 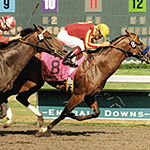 In addition, it also provides Mile statistics and every starter and jockey to ever participate in the race. 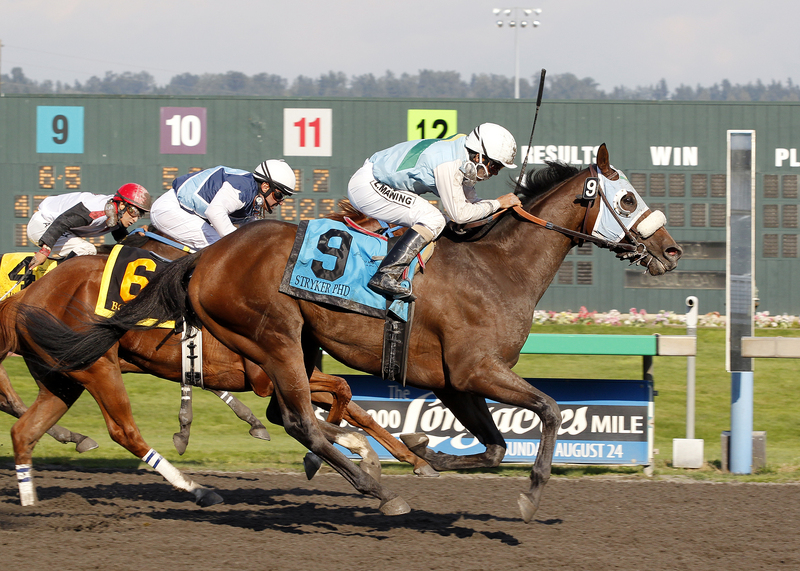 Isitingood and David Flores edged Cleante and Dennis Carr by a neck to win the inaugural running of the Longacres Mile at Emerald Downs. Isitingood was owned by Mount Vernon resident Mike Pegram and trained by Bob Baffert. 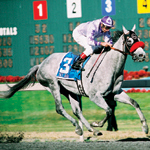 Kid Katabatic and Chris Loseth pulled off an upset in the 1997 Longacres Mile by defeating heavy-favorite Hesabull and Gary Stevens. Shauna Van Oostdam saddled Kid Katabatic to the victory, becoming just the third female trainer in history to win the Mile. 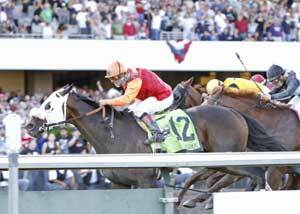 Hall of Fame jockey Eddie Delahoussaye notched his only Longacres Mile victory in 1998 aboard Wild Wonder. The duo crossed the wire in 1:33 1/5 – a new track and Mile record. 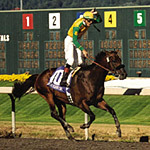 A year after finishing a disappointing seventh in The Mile, Budroyale returned to Emerald Downs and captured the 1999 Longacres Mile. 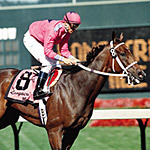 Budroyale closed out 1999 by finishing second in the Breeders’ Cup Classic (Gr. I). Edneator and Gallyn Mitchell pulled off the biggest upset in Longacres Mile history by winning the 2000 edition of the race. Edneator returned $85.20 for a $2 win. The victory was trainer Jim Penney’s third Mile triumph. 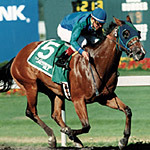 Irisheyesareflying and Iggy Puglisi won the 2001 Longacres Mile. 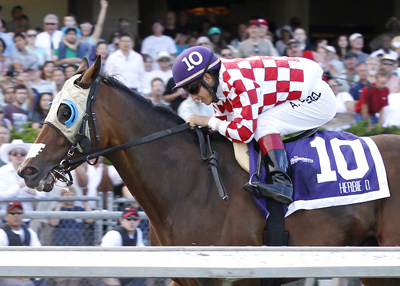 The victory came 10 years after Puglisi received his first Mile mount. 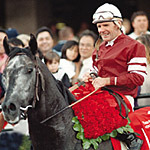 Trainer Jim Penney saddled his record-tying fourth Mile winner in 2002 after longshot Sabertooth went wire-to-wire in the race. Penney, who also won the Mile in 1973, 1977 and 2000, joins Allen Drumheller as the only trainers to win the race four times. Great things were expected of Sky Jack in The Mile – he did not disappoint. Ridden by Hall of Fame jockey Russell Baze, Sky Jack covered the mile in 1 minute, 33 seconds – the fastest time ever in the Longacres Mile. Ridden by Hall of Fame jockey Russell Baze and trained by Hall of Fame trainer Jerry Hollendorfer, Adreamisborn covered the mile distance in 1:34 4/5 over the sloppy track and returned $10.80, $6.20 and $5.20. No Giveaway went to post at 60-1, the longest shot on the board, and came from over 20 lengths back while on the backstretch to capture the 70th Running of the $250,000 Longacres Mile (Gr. III). In gamely fighting off the challenge of Papi Chullo in one of the most thrilling Mile stretch runs of all time, Flamethrowintexan gave trainer Jim Penney his record fifth Mile win and owner Paul Heist a great birthday present. 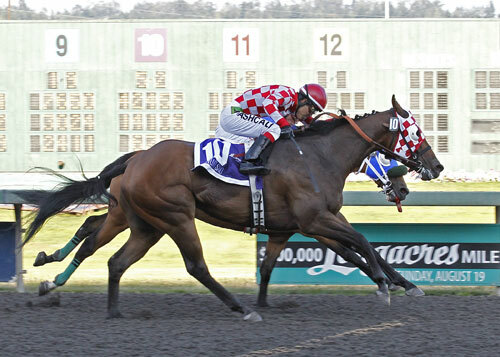 The Great Face, a Washington-bred son of Cahill Road, held back the determined challenge of his stablemate Raise the Bluff to win the $400,000 Longacres Mile presented by TVG. The Great Face, ridden by Juan Gutierrez and trained by Tom Wenzel, was the first Mile winner for both Wenzel and track owner Ron Crockett. Wasserman’s stunning victory, which was greeted by thunderous applause from the sweltering crowd, made him the fourth straight local horse to win the Northwest’s most prestigious race. 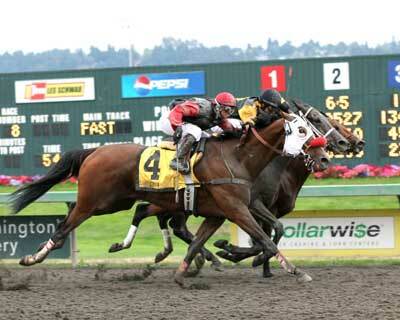 Jockey Jennifer Whitaker, also a Washington native, became the first female jockey to ride a Longacres Mile winner. 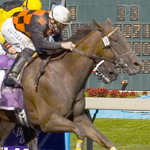 Assessment was the Northwest’s best horse in 2009 and drove that point home with a thrilling win over a stellar field that included Awesome Gem, Teide, Atta Boy Roy and defending champion Wasserman. Trainer Howard Belvoir tied the race record by winning his second consecutive Mile and Assessment became the first horse to win from post #12 since Coldwater in 1935. Noosa Beach’s triumph in the 75th Mile topped the best single season in Emerald Downs history and one of the best ever in Washington. 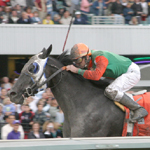 He easily defeated his 11 challengers including runner-up Jersey Town, a Grade-1 winner three months later. The Mile was one of a track-record five stakes wins at the meeting in which Noosa Beach won at distances from 5 ½ furlongs to 1 1/8 miles. 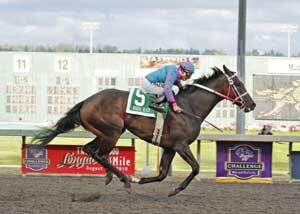 He became the sixth consecutive Emerald Downs-based horse to win the Mile. 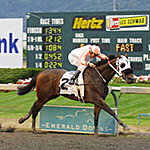 Awesome Gem ended Noosa Beach’s seven-race stakes winning streak in earning a Mile triumph for West Point Thoroughbreds. Eight-year-old Awesome Gem, the richest horse ever to race in Washington at $2.6 million earned, tied the record of oldest horse to win The Mile. His credentials included four participations in the Breeders’ Cup. Runner-up Noosa Beach ended a sensational two-year run of 10 wins in 12 starts. 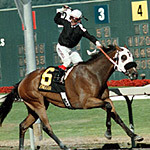 Mario Gutierrez became the first rider to sweep the Kentucky Derby and Longacres Mile in the same year as Taylor Said ($7.20) fought off a resilient Winning Machine for a head victory in 1:33.79. Defending champion, Awesome Gem, finished third as the 2-to-1 betting favorite. Owned by Glen Todd, trained by Mike Puhich in Washington and Troy Taylor in Canada, Taylor Said became the first horse in 42 years to win The Mile after making his previous start at Hastings Racecourse/Exhibition Park. 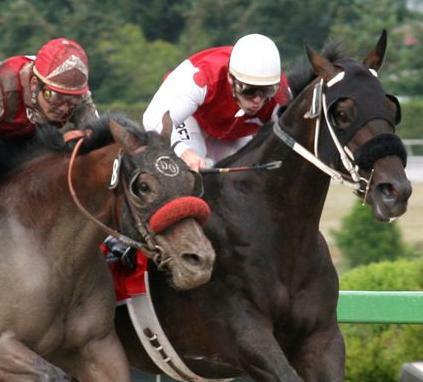 The 4-year-old Stephanotis gelding became the fifth British Columbia bred to win The Mile. Herbie D became the second straight British Columbia-bred to win The Mile, scoring a gate-to-wire 1 1/2 –length victory in 1:35.12 under jockey Amadeo Perez. Trained by Robert Gilker for George Robbins of Cobble Hill B.C. and Darcia Doman of Cowichan Bay, B.C., Herbie D earned a flashy 100 Beyer—the biggest figure since Flamethrowintexan’s 101 in the 2006 Mile. Second choice in a field of 12, Herbie D paid $6.80 to win and earned $110,000. Herbie D also ran a meet-fastest 1:40.52 for 1 1/16 miles while winning the Mt. 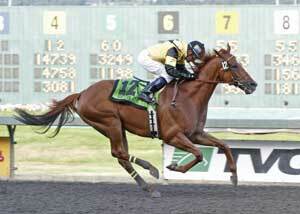 Rainier Handicap by 2 ¾ lengths and was voted Emerald Downs’ 2013 Horse of the Meeting. For 2nd straight year, Patrick Henry, Jr. Wins the opening race of the season. Racing begins in 90 minutes, the Toucans performing outside. How many days will you visit this year? Going to be a busy, busy fun upcoming season! The Mile Blog at WordPress.com.